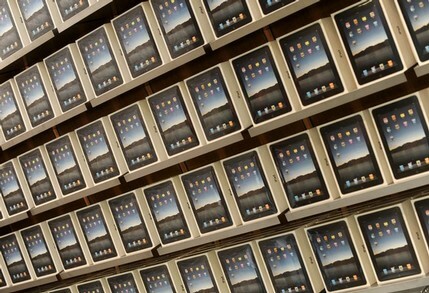 A law firm in New York just handed over an iPad 2 to 500 of their 700 attorneys. Proskauer, the law firm who’s attorneys are now sporting a brand new iPad 2, decided that the iPad 2 tablet presented a couple of great opportunities. 1) The new iPad 2 would be a great opportunity for the firm to equip the attorneys with a more flexible computing device compared to laptops. The attorneys are able to access and share documents quickly, manage email, and produce presentations, spreadsheets, and other documents on the fly. 2) Replacing laptops with iPad 2’s was a move to also help the Proskauer brand and bring awareness to the law firm. They achieved this by being the first the law firm to make such a move with the iPad 2 on this scale. According to Dice.com, the attorneys are able to also use the iPad 2’s for their own personal use as this is something that would be too difficult of a task for IT to control, but also attorney’s would probably do so anyway. Again, this is something we will be seeing a lot more in the enterprise space. And let’s not forget, it’s a great way for these attorney’s to kill time playing Angry Birds while they wait for the verdict to come in. Exactly – you know it will happen too!